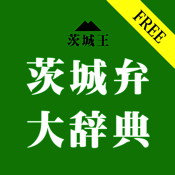 It is the Ibaraki dialect dictionary application for Ibaraki residents. About 1200 Ibaraki dialect currently introduced by the popular website "Ibaraking" are published. When the meaning of the Ibaraki dialect was not understood, and is troubled and it meets with the maniac Ibaraki dialect -- It will be OK DAPPE if there is even this dictionary!